Two 4-stroke outboards, a multifunction display that can be linked to an iPad, a smarter portable marine head and a panoramic aft-view mirror were among the 11 winners in the 2011 IBEX Innovation Awards, which are judged by members of Boating Writers International. Raymarine’s e7D multifunction display and Charles Industries’ Intelligent Marine Charger exemplify the industry’s advances in electronic devices and its integration of new technologies, says awards committee chairman Alan Wendt. 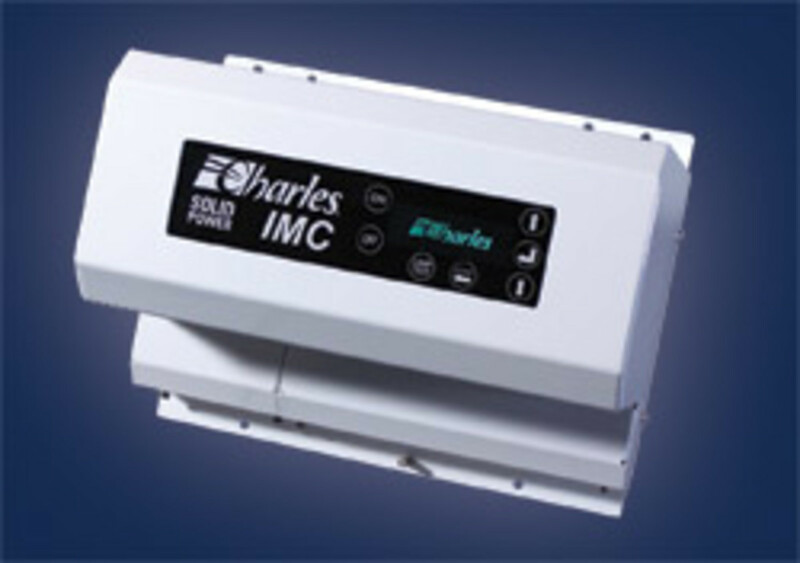 Charles Industries’ IMC units are the industry’s first four-bank battery chargers, with programmable, continuous and independent DC output and battery type and charging profile selection for each bank, says Lyle St. Romain, general manager of Charles Industries’ Marine and Industrial Group. The company captured the Innovation Award in the Electrical Systems category with its IMC 40 model. During the past few years, companies such as Charles have come up with chargers with battery type selection, but these chargers were made specifically for each type, St. Romain says. In the OEM Electronics category, the Raymarine e7D came out on top. The e7D serves as the “heart of the Raymarine electronics system,” says Andrew C. Teich, president of FLIR Commercial Vision Systems, which owns Raymarine. It integrates an array of features, from touch-screen technology and Wi-Fi connectivity to Apple iOS and Bluetooth capability, he says. “And it has a great suite of radar, sonar, and GPS and autopilot functions all built into the unit,” he says. The e7d’s Bluetooth connectivity lets boaters control and reconfigure the e7 with the optional RCU-3 wheel-mounted or handheld remote control unit. The RCU-3 remote can also be used to control the audio playback on an iPad, iPhone or iPod remotely so these devices can be stowed safely out of the elements. “Mobile computing has changed our everyday lives with anywhere access to information, and now the e7 lets boaters access charts, sonar, radar and thermal night vision from anywhere on board,” says Jim Jones, director of Southeastern sales for Raymarine. The e7 system also can work with AIS and high-definition digital sonar. In the Safety Equipment category the judges chose Protomet Corp.’s Panoramic Mirror System. A champion slalom water skier told the company it needed a new mirror with better quality and a greater field of view, Protomet president Jeff Bohanan says. 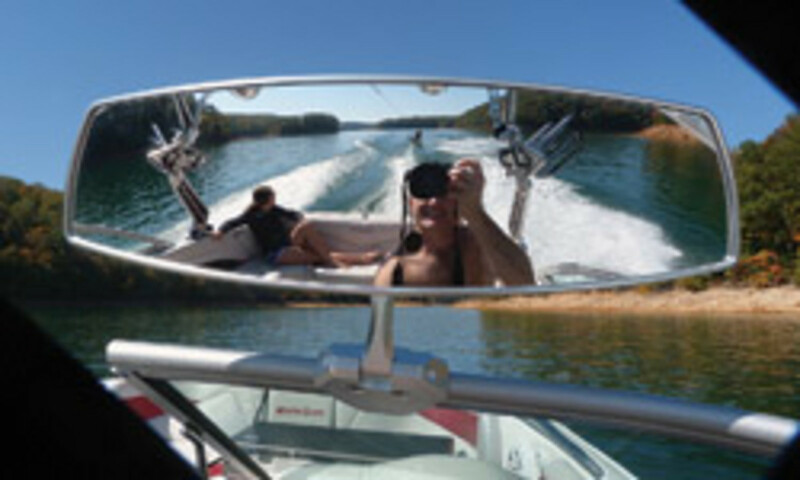 Protomet agreed, and it responded with the VR-140 panoramic boat mirror. It gives the driver a 140-degree field of view, which is about double that of most other one-piece mirrors, Bohanan says. The outboard also is a good choice for repowering, he says. “Because of the lighter weight you can mount the engines on older boats that normally could not handle the weight of an older 4-stroke,” Miller says. The new engine is just 24 pounds heavier than Mercury’s 150-hp OptiMax 2-stroke, Miller says. 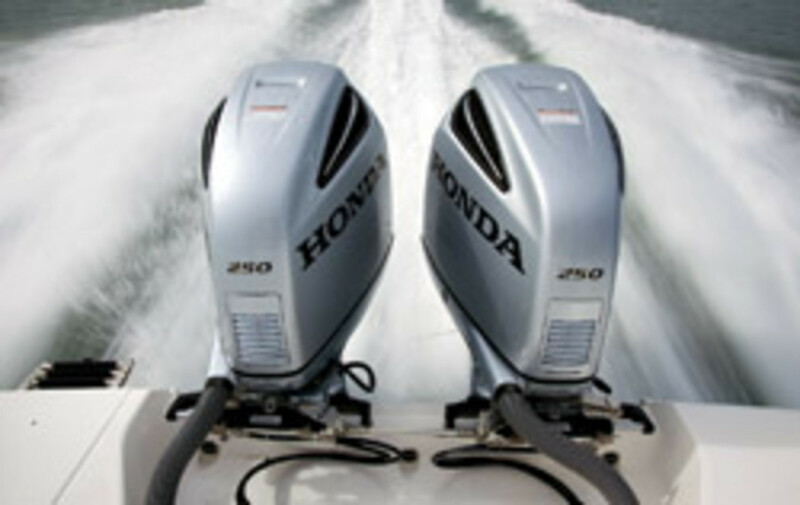 More than 10 years ago, Honda Marine introduced its 225-hp 4-stroke outboard. Since then, the engine maker has focused on lower-horsepower models. But in 2012 its most powerful outboard yet will hit the market — the BF250. The manufacturer builds the BF250 around a 3.6-liter engine with a displacement of 219 inches. Honda Marine has given it a sleeker, more streamlined all-around design that includes a new gearcase, which reduces drag by 5 percent, according to the company. A new air induction system uses two air-cooling methods for better combustion and performance. In the Furnishing & Interior Parts category, Thetford Corp.’s Curve Porta Potti was judged the most innovative product. The originators of the Porta Potti redesigned everything from a battery-powered flushing mechanism to a hidden, integrated toilet paper holder to a wider, taller unit, says Thetford marketing manager Nadine Burns. It also has easy-to-read level indicators to make monitoring the fresh and wastewater tanks simple. And carrying handles offer trouble-free transportation, she says. The Curve Porta Potti is $200, and it became available in November.